65DEG TEMPORARY THERMOSTAT - Commercial Specialists Inc. 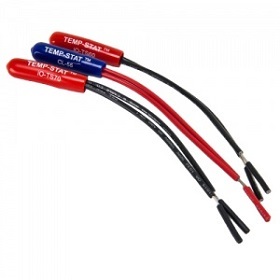 These low cost, non-adjustable, temporary construction thermostats are preset to a given temperature (165F). Made for heating only applications. Use in place of a regular thermostat that can be stolen, damaged or tampered with. Save on heating costs during construction or anywhere you need to maintain a given temperature.